We have skilled, efficient and experienced team of engineers and technicians, who are our helping hand in achieving our company's objective of providing high performance packaging machinery on time and within client's budget. 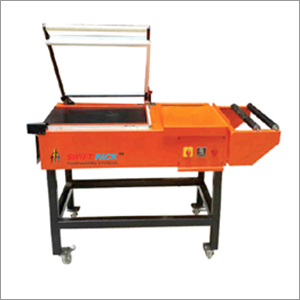 We are capable of fabricating a variety of packaging machines, and L Sealer machine is one of the lot. This manually operated machine used to seal a wide variety of films is simple, cost-effective and requires minimum maintenance. It has Powder Coated (M.S. TYPE) body, which makes it resistant from rust and corrosion. It is designed in a way to seal 300~500 pieces per hour. Our L sealer is built to last, and we assure its hygiene and easy cleaning and durability.